Barbie Celebration Doll features a sweet look and customizable packaging to help you celebrate someone special! This collectible doll makes the perfect gift for any occasion. Write a personalized note on the package and add the finishing touches with fun icon stickers. 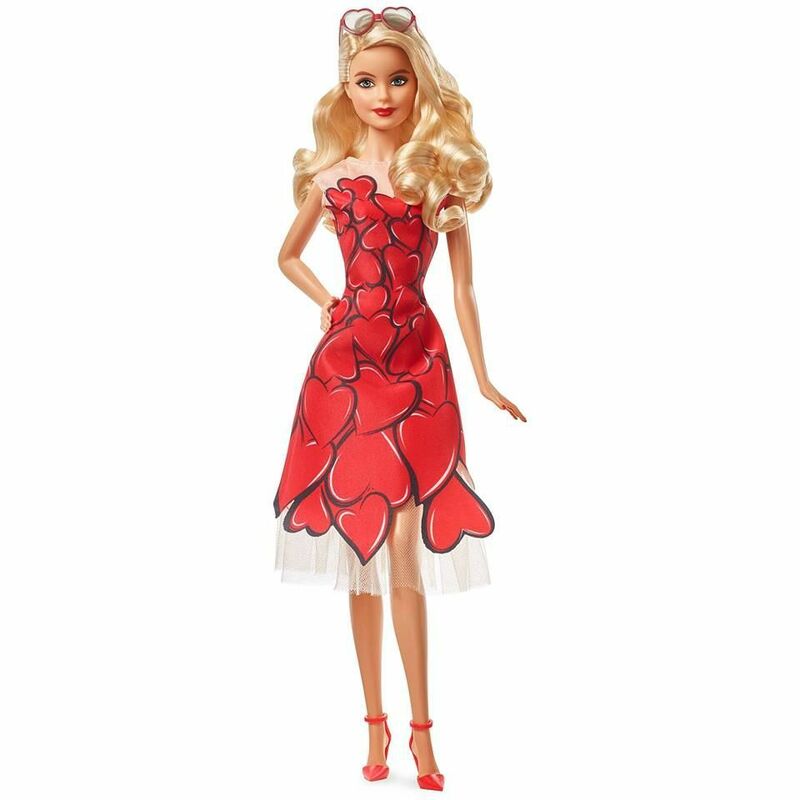 This doll wears a bold, asymmetrical dress inspired by the universal symbol of friendship. Chic details, like heart-shaped sunglasses and red stilettos finish the look. 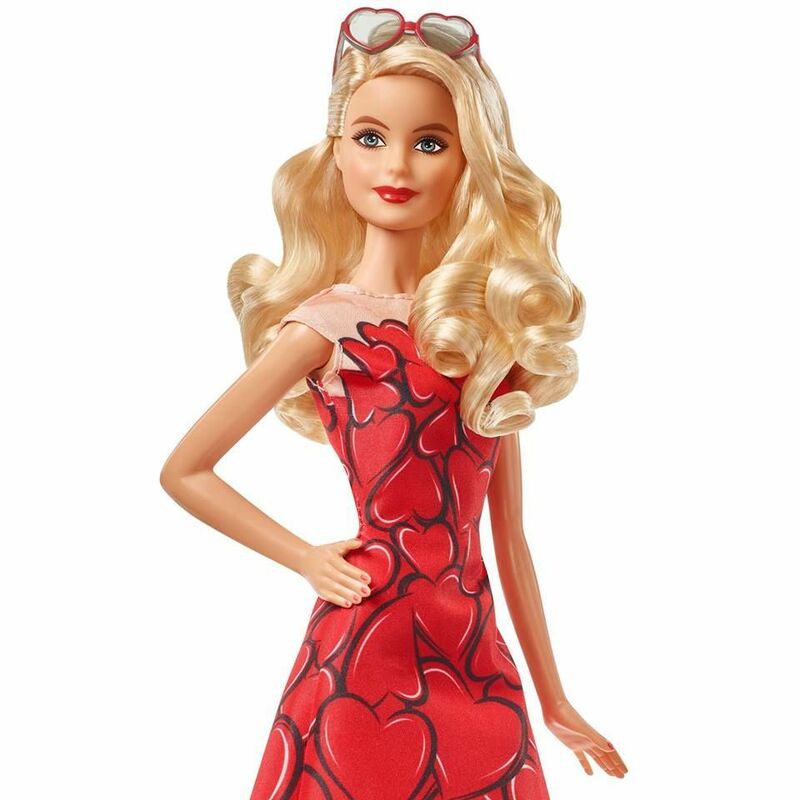 Celebrate someone special with this Barbie Celebration Doll.